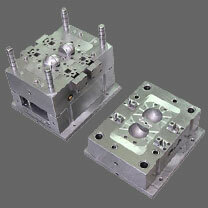 Why Low Cost injection mold tooling is so Expensive? 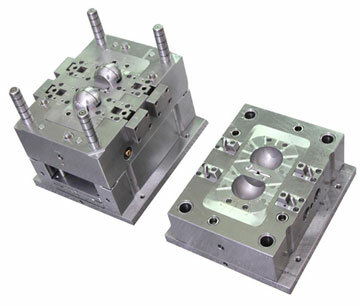 Home » Buying Tips in China » Why Low Cost injection mold tooling is so Expensive? Cost of ownership of injection mold tooling over the entire projected lifetime of tooling is what really matters, if the purchasing company is interested in sustainable profitability. In other words, it will include (at the very least) lead-time from order placement to first profitably saleable parts, cycle time, general durability, need for maintenance and energy efficiency. Chalk is much less expensive than even basic cheese, let alone gourmet variants. For some tasks, chalk is great, but get the two mixed up and you could be in for either serious constipation or morbid obesity. Neither condition is immediately apparent at the point of consumption, however, though one might get a taste of what to expect in the long run. The decision makers on an injection mold tooling procurement process, must be able to see the big picture and not only the costs, or the technical issues or the after sales services, they must foresee what's the best for the end-customer they have to serve in the long run to make it cost efficiency. You know the industry, you know all sort of problems that can arise on a mold tooling procurement process due to the poor or the lack of communication between the tooling shop and the buyer and you know all sort of problems that can show up on injection molding production. Why would wait until the injection mold is delivered to verify all the items you mention? Don't buy "low cost" molds and specify every detail of components and all materials during the quote process, and have eyes on the mold during the construction phase and approve on-site what is being built. To wait until you take delivery to make all these verifications is like closing the barns doors after the horses have already escaped. No one should buy an injection mold form an off-site location without building in the cost of a mold tooling engineer to be present for construction and verification purposes. For a company to issue a mold tooling order without going through a verification of the tool shop capabilities, quality standards, financial soundness and customer history references is at risk for failure and make the long run production expensive. This typically requires a team of experts in various technical and business positions to do an onsite audit and grade the facility as a qualified mold supplier to reduce the risk. If a mold is being purchased for molding at a third party, the molder MUST be included in the mold making process so the details of press (and other) requirements will be adhered to. A mold MUST be run by the mold maker prior to shipment to validate the injection molding process and the molded part quality. All parties should establish a "Spare Parts" list that will be packaged with the mold in order to avoid downtime as a result of possible part failure in the injection mold. It never ceases to amaze me how few people understand the details. I've worked under these basic guidelines at several places in my career and it was standard practice. Then I landed in a couple of injection mold manufacturers where it was forbidden for engineering to be involved in the quoting or selection process, or even to have the knowledge of the pricing. Only to find out later, what I specified is not what was purchased.